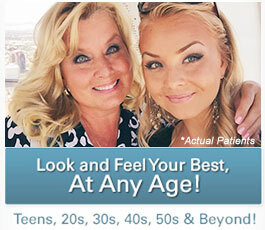 For more than two decades, Torrance plastic surgeon Christine Petti, MD, FACS has been perfecting her approach to cosmetic breast surgery. Using a combination of advanced surgical skill and her keen artistic eye, Dr. Petti consistently achieves outstanding results that her patients love. Each breast procedure is fully customized to suit the highly individual anatomy, needs, and goals of the patient. During the consultation and leading up to surgery, she works together with her patients to learn about their desired look and help determine the ideal breast shape, size, cleavage, and inconspicuous scar placement for their procedure. In Dr. Petti’s experience, the vast majority of women considering cosmetic breast surgery love to have cleavage (i.e. medial projection of the breasts) in the center of the chest. To give the breasts a natural look and create natural cleavage, it is not only vital to use the right implant shape and size, but Dr. Petti must closely control the implant pocket anatomy and dimensions during surgery as well. One Fingerbreadth Cleavage: To create her signature “one fingerbreadth cleavage,” Dr. Petti uses the width of her index finger as a guide to be certain the breast implants are placed close enough together to create a desirable and naturally full cleavage. The Internal Bra: In order to keep the implants positioned properly over time, Dr. Petti creates a unique “internal underwire design bra.” This process involves an internal suture technique that she designs and creates within the limits of the breast pocket where the breast implant is ultimately placed. The sutures form an “internal underwire contour bra” along the outer breast curve and underneath the fold of the breast, simulating an internal underwire bra. The strategically placed sutures keep the breast implants located on the anterior (front) of the chest and prevent them from slipping to the sides and losing the appearance of cleavage. She also sutures beneath the breast in order to secure the inframammary ligament along the lower fold of the breast. Ideally, Dr. Petti wants the implants to look and stay naturally on the front of the chest, with central cleavage and a natural C-curve along the lateral (outer) sides of the breasts. Hidden Scar Placement: Dr. Petti is able to control scar placement so that it is nearly “invisible” and inconspicuous, within the lower fold of the breast. If you are considering breast augmentation—or breast augmentation revision for capsular contracture and/or rupture or malposition—and want to achieve the highest quality results, we invite you to contact our office to schedule a consultation with Dr. Petti. 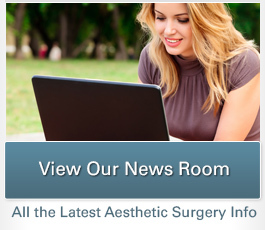 We also suggest taking a look at some of Dr. Petti’s breast augmentation before-and-after photos to learn more about the types of results that are possible with her unmatched surgical expertise.